Watch Shaggy collecting his 2019 Grammy Award for Best Reggae Album below. The Jamaican entertainer won the prestigious award for his collaborative project “44/876” with English musician Sting. 44/876 is Shaggy’s second Grammy Award for Best Reggae Album. He won in 1996 with Boombastic, his platinum-seller for Virgin Records. He was nominated in 2006 for Clothes Drop, in 2009 for Intoxication, 2012 for Summer in Kingston, and in 2015 for Out of Many, One Music. Other acts nominated for this year’s Best Reggae Album category were; Black Uhuru for As The World Turns, Etana for Reggae Forever, Ziggy Marley for Rebellion Rises and Protoje for A Matter Of Time. 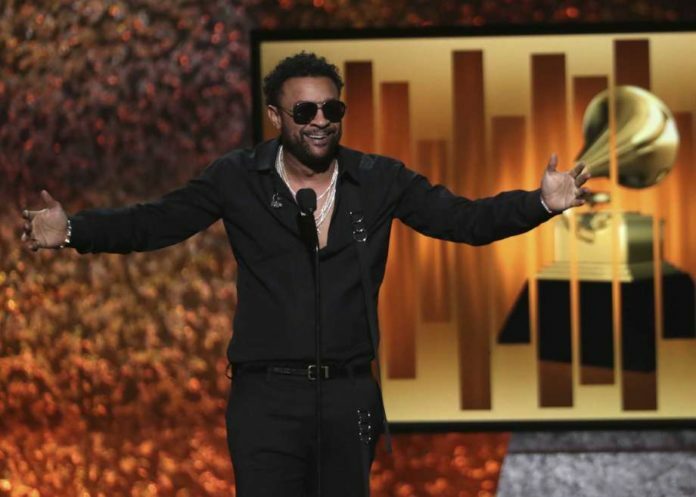 Shaggy also hosted the 2019 Grammy Awards Premiere Ceremony on Sunday. The Premiere Ceremony was held at the LA’s Microsoft Theater, just across from the main show’s Staples Center location. Last year Billboard Magazine named 44/876 as the top-selling reggae album of 2018. It has sold more than 52,000 copies and occupied the number one spot on the Billboard Reggae Album Chart for 23 weeks. The project features tracks with a slew of local entertainers including Sly & Robbie, Aidonia, Morgan Heritage and Agent Sasco. Shaggy and Sting earned a whopping US$10 million on the first leg of their 44/876 tour. According to Billboard Magazine, the duo grossed US$10.8 million during the tour’s opening leg in Europe, securing the number four place on the Hot Tours chart. The entertainer played to 132,155 fans in 23 sold-out shows. Some of these events were festivals, they also played theatres, parks and historical sites. The smallest and largest shows were in Italy: Trani (2,210) and Verona’s Arena di Verona (12,468). Shaggy and Sting also had tour stops in Slovakia, Greece, Bulgaria and The Netherlands.